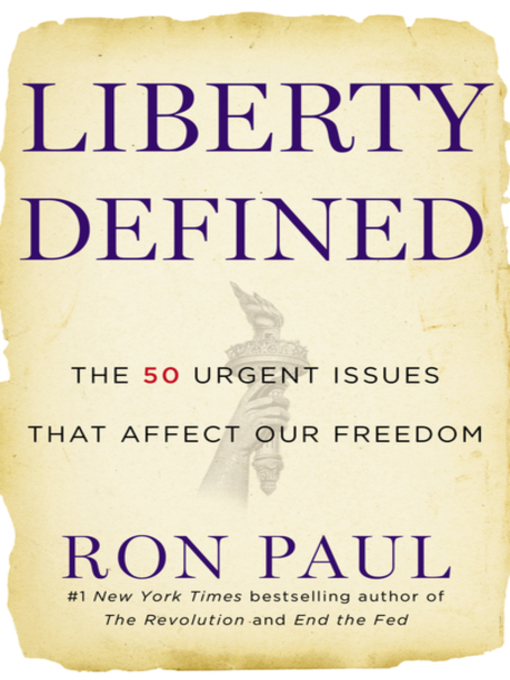 Dr. Ron Paul's newest audio book, LIBERTY DEFINED, returns to the format and scope of his #1 New York Times bestseller The Revolution. Rather than delve so deeply into one issue (as End The Fed did) or simply update the topics discussed in The Revolution, this will be a brand new, comprehensive, A-Z guide to his position (unwavering support of personal liberty and small government) on 50 of the most important issues of our times, both foreign and domestic. His devoted followers will be able to use it as a guide book for 2012 and beyond, for all their political and educational efforts. With entries ranging in length, LIBERTY DEFINED will be very accessible, easy to digest, and clear cut in its ideology.